There are so many versions of the classic fairy tale "Cinderella" but in "Cinderella of the Nile", Beverley Naidoo and Marjan Vafaeian take us right back in time to a world where two mighty civilisations established vast empires across the continents. Rhodopis is a Greek girl who is sold into slavery by bandits and taken to Egypt. 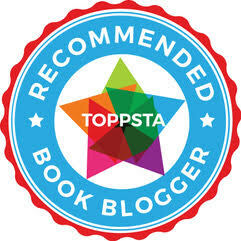 Along the way she becomes friends with the storyteller Aesop and a host of playful animals. Her master gives her a pair of beautiful rose-red slippers, making three other servants jealous. But when Horus, the falcon, sweeps in to steal her slipper, Rhodopis has little idea that this act will lead her to the King of Egypt, and perhaps lift her from a life of poverty and slavery into one of prosperity and fortune. The first in Tiny Owl's ‘One Story, Many Voices’ series, this ancient story of Cinderella finds its echo in fairy tales all over the world. It's absolutely stunning, with the most beautiful colourful illustrations far, far removed (thankfully) from the usual pink prim princessy type retellings that we usually see in Cinderella. Brilliant, we can't wait to see more in this series from Tiny Owl. 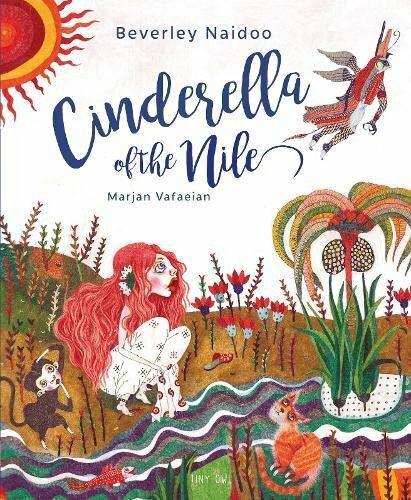 "Cinderella of the Nile" by Beverley Naidoo and Marjan Vafaeian is out today, published by Tiny Owl Publishing (kindly supplied for review).